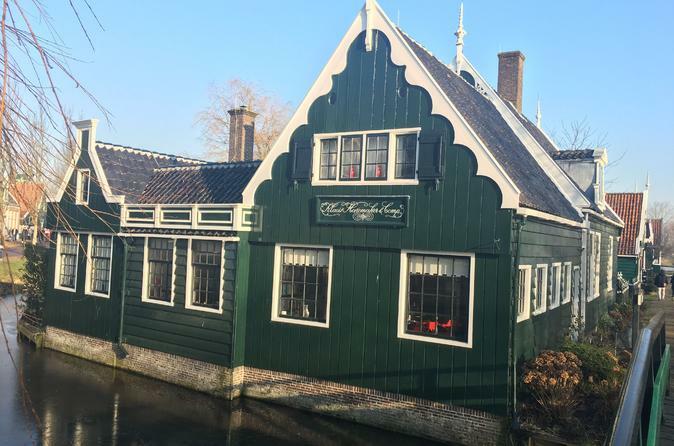 Addentrati nel ricco arazzo della tipica cultura olandese con un tour di mezza giornata arricchente a Zaanse Schans di Amsterdam. Con una guida esperta, osserva i tradizionali processi di produzione del formaggio; meravigliare l'interno di un mulino a vento funzionante; prova su alcuni autentici zoccoli di legno per le dimensioni; e ammirare la pittoresca e colorata architettura del villaggio di Zaanse Schans prima di tornare ad Amsterdam con un comodo pullman. Scopri in modo affascinante la cultura unica dei Paesi Bassi in questo tour educativo. The tour took place as described and on time. The short ferry ride was neat. However, we had not anywhere near enough time to explore after the two presentations. In fact, we had to leave before our lunch was served. We went home starving and 50 Euro poorer cost of lunch. 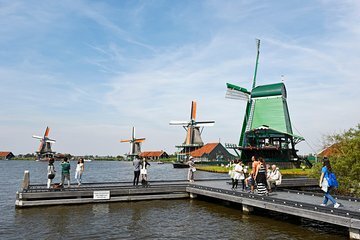 I would recommend visiting Zaanse Schans just do it on your own with a private driver/taxi/Uber so that you can have as much time as you would like to explore. This was an absolutely wonderful tour. It's only a 20 minute drive to get there from Amsterdam, and was well worth it. We learned about the history of the windmills, wooden shoes, and had a cheese demonstration. This was certainly a highlight of our trip, and I strongly recommend this to anyone who wants to truly experience Holland! Our tour guide very professional. The village is more a living museum rather than a real village The shops was a bit expensive. We love the day we spent in the north of Amsterdam under our tour guide Maria's friendly guidance. Everyone working in the industrial town were so helpful and had excellent knowledge in their own fields. Will definitely recommend to other people. Derek with his pleasant voice helped this sightseeing to be even better! I did enjoy this. It was a beautiful day and the windmills looked great. I sampled quite a few cheeses and bought some for a snack later. A good tour. Great coverage in a short period of time! A little surprised the windmill and clog and cheese factory was all in the same place. Had we known we would have taken the train from Ams Central as it wasn't too far away. We were rushed through the small town and it was a giant tourist trap. The cheese was worth it.. but you can find in town.